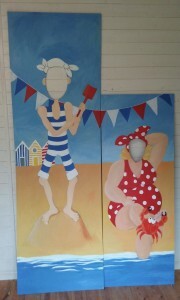 This Seaside Peep board was my contribution to the school summer fair this year, which had a seaside theme. The boards were cut and complete with a stand so I didn’t have to worry about the engineering side of the job (although I have now been asked to paint another one for a rugby club so I may have to brush up on my carpentry skills!). 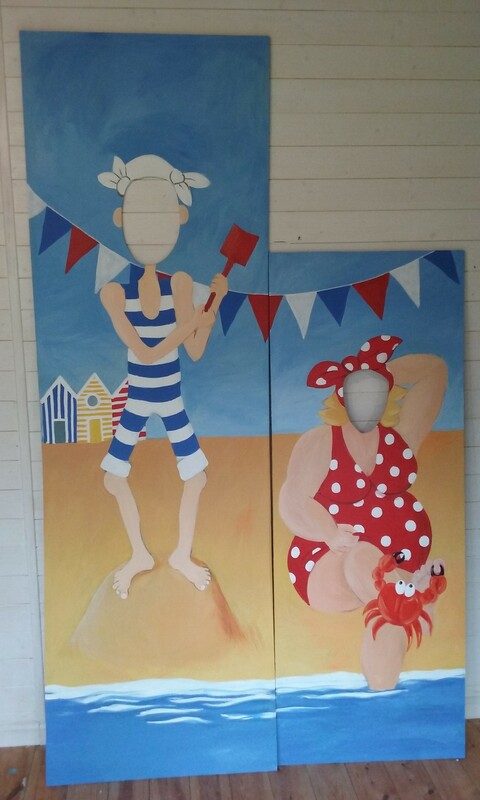 Although travelling around Warwickshire to paint wall murals is a great part of the job being able to work on these boards in my studio makes a lovely change. This seaside peep board was great fun to paint and I can’t wait to get started on another! 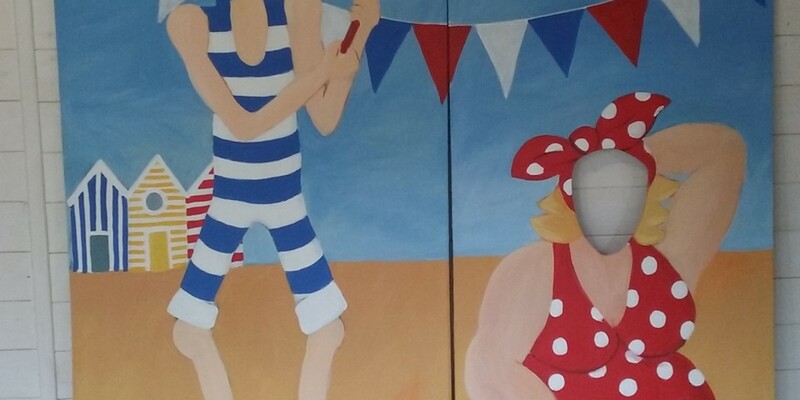 If you have an unusual painting project that you would like to discuss then please get in touch. I love painting wall murals but am always happy to complete other commissions, painting furniture, canvases, boards or (almost) anything else you have in mind.